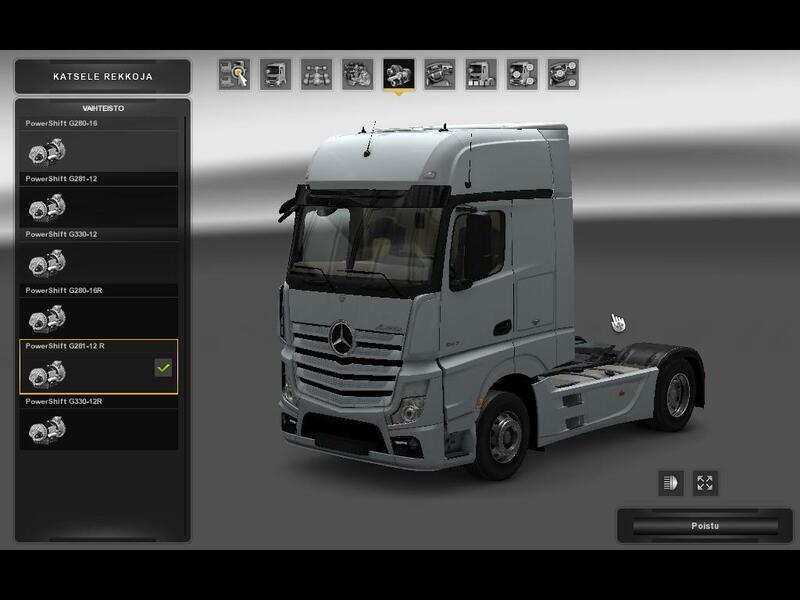 This mod will add a number of new transmissions as well as include reconfigured versions on the original transmissions that SCS has on trucks. Transmissions for the following trucks are included: Mercedes-Benz, Scania and Volvo. 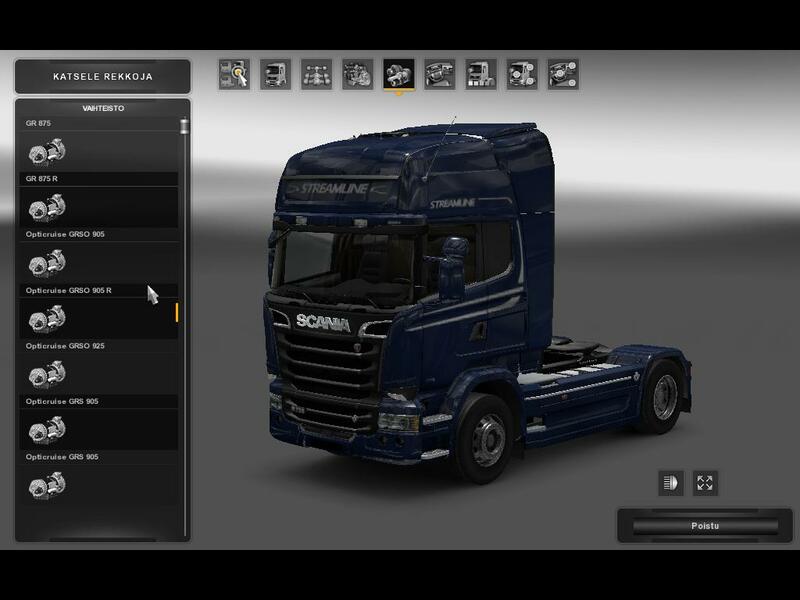 I do apologize some users that haves MAN, Iveco, DAF or Renault as their favourite truck and that this mod doesn’t include any changes to their transmissions. 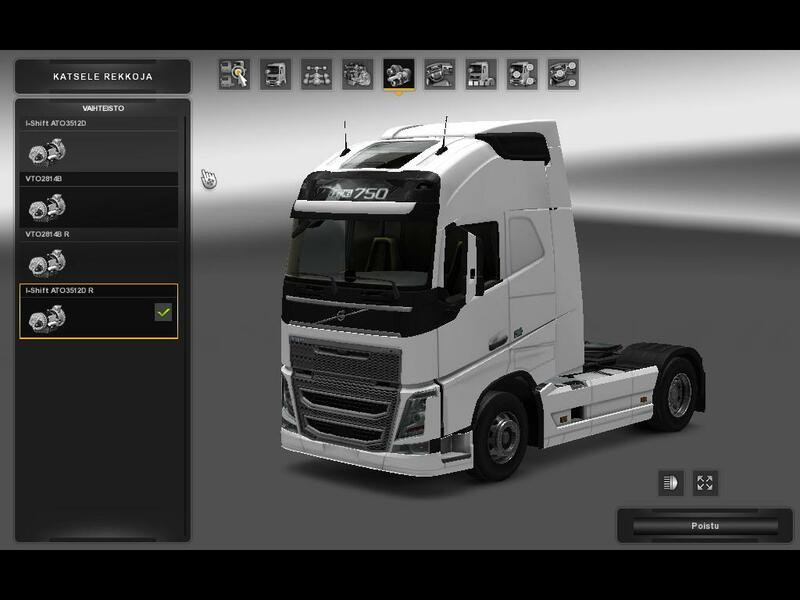 I made this mod for M-B, Volvo and Scania as they seem to be the 3 most favorite truck brands in the game, and the rest of the trucks will have more options in future versions. My plan is to first make the transmissions compatible with the base game trucks and then for truck mods. And no, I will NOT make a transmission mod, which will give you 400km/h or above top speed, because that would be extremely ridiculous and pointless, since the thing in this mod is realism. For the differential and gear ratios, I have used manufacturer-specific PDF sheets, that I have found from the Internet. Most of the transmissions will have 4 reverse gears, just like their real life counterparts. Some of them has really high speed in reverse, but who would go 80km/h backwards? On the Scania transmissions, when you hit the first gear, you will see the letter “C”, which means it has crawler gear for steep hill starts or muddy grounds, and two of the boxes will have gears 1L to 6H on manual versions and the original 1-12 for automatic transmissions. This one does not apply to the Opticruise GRSO925 transmission, because it’s either hydraulic manual (meaning, that you only have to press clutch if you stop or change gears from D to R) or fully automated. The engine revolutions are between 900-1200 RPM at 85 km/h speed, depending on truck and gearbox. This will give you very low total fuel consumption of your trips, even they’re long.